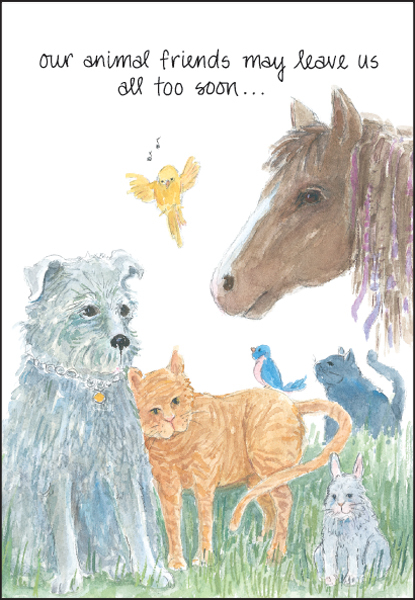 Sympathy Cards for Animals | it takes two, inc. The loss of an animal friend is a difficult thing to endure. 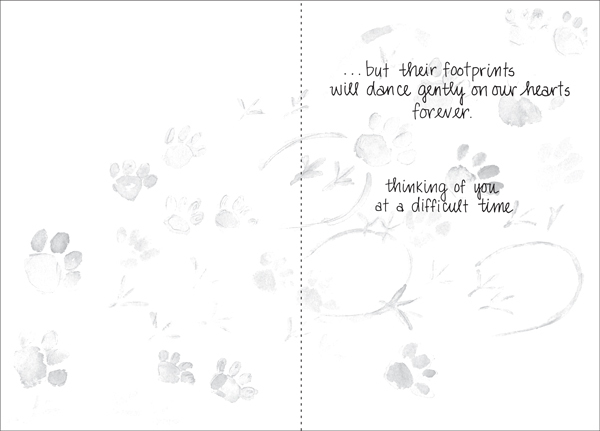 Help your client through the death of their pet with this gentle sympathy card. but their footprints will dance gently on our hearts forever. thinking of you at a difficult time.